Many people consider red wine an acquired taste and some dismiss it before even trying it! The truth is that all red wine is different and there is a type for everyone out there. Carry on reading to discover a little more about the different types of red wine. What you eat with your red wine choice can help to bring out the taste, so this is something important to keep in mind too. This is a full bodied red wine with cherry, blackcurrant, spices and cedar flavours to really tease your palette. This was first planted in the Bordeaux region and it is the most popular wine in the world and has been for some years. Cabernet Sauvignon tastes amazing with beef, lamb, smoked meats and hard cheeses. If you want something like this but slightly lighter, merlot is always a good choice. This red wine is also extremely full bodied and is most commonly planted in France and Australia. The flavours in this wine include blueberries, plums, meat, violet and black pepper. Again, this wine is divine when combined with red meat and white cheeses. This is a medium to full bodied red wine with raspberry, cherry, plum, blueberry and nectarine tastes that are worth experiencing if you enjoy sweeter wines or drinks. 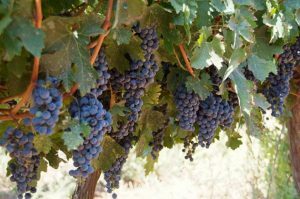 Zinfandel originated in Croatia but it is now very popular all around the world. Pair this wine with chicken, pork, lamb, beef and barbecue food to make the perfect combination in your mouth. This is a dry, light bodied red wine with some exquisite flavours. This wine was first planted in France and enjoying it today means you can taste cherry, cranberry, rose, rhubarb and mushrooms. Pinot Noir is best consumed with veal, chicken, pork, cured meats and creamy sauces.